While working our Wood Floor Pavilion at the NAHB International Builders Show this February, a common discussion item we had with many of the builder attendees was related directly to how great it was to see the “real thing” represented so well. The overall sentiment was a timeless respect and appreciation for real wood. Obviously real wood is available in many varieties: species, color, width, thickness, solid/engineered, unfinished/factory-finished, and on and on. According to the latest Catalina Report for wood flooring, it is estimated that factory-finished flooring, both solid and engineered, makes up more than 50 percent of the total wood flooring being installed today. 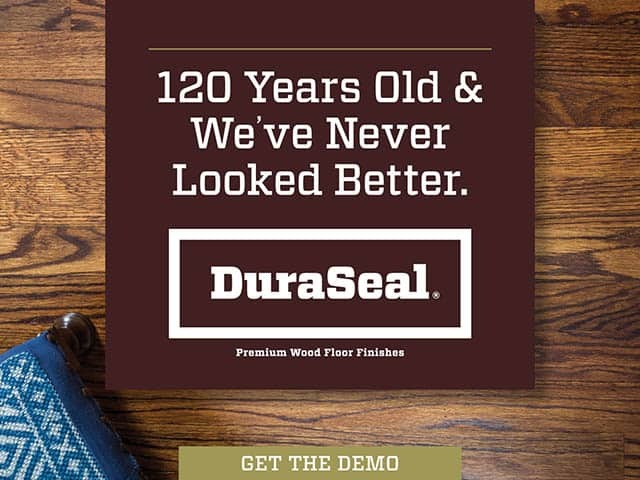 This isn’t hard to believe when you consider how much wood flooring is being sold through retail design centers, through big-box stores, and online. A high percentage of the people who install these floors do not have the expertise, or the tools necessary, to sand and finish. So what does this mean for the wood flooring contractor who does sand and finish work? 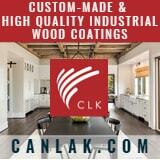 There is a ton of up-and-coming work out there related to refinishing or resanding these floors. For someone who is most accustomed to sanding raw wood, or even previously finished flooring, there is a bit of a learning curve when resanding a factory-finished wood floor. 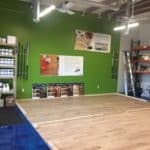 These are a few of the best practices to consider when approaching the refinish of any factory-finished floor. 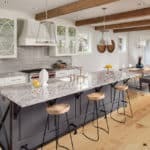 Determine the type of floor – A discussion with the homeowner may help you determine what type of floor it is you may be commissioned to refinish. 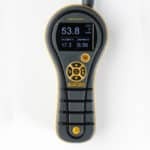 Many times, a visual inspection alone is not enough to determine whether the floor is solid, engineered, or even a really good picture of wood. Oftentimes, the homeowner doesn’t know either. Ask for leftover material potentially left in the basement, in the attic, or garage. Once you’ve determined what the floor is, you need to decide whether the floor can withstand a resand. Decide if the floor can withstand a resand – The number of times a wood floor can be sanded depends on the skill of the person sanding the floor, the type of equipment used, the thickness of the wear layer, the flatness of the floor, the presence and type of bevels, and customer expectations. The thickness of the wear layer will often be the overlying factor of whether the floor can be sanded or not. Evaluate the flatness of the floor – There are standards for subfloor flatness during the installation process, but nothing related to flatness during the sanding process. The reason is simple: many factors can affect the flatness of the installed flooring after the fact, and these factors are simply out of the control of any involved parties. When resanding a factory-finished floor, the flatness of the existing floor may affect your approach to the resand. Many resands simply cannot be sanded flat due to previous conditions. This doesn’t mean the floor cannot be properly sanded, only that the process will need to be adjusted, especially as it relates to bevels and wear layer. Address bevels – Beveled edges are present on most factory-finished floors. The depth, profile, and type of bevel may vary significantly though. Specifically related to a resand, this is one of the biggest factors to address with the homeowner. 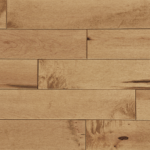 It is likely, in most cases, that even a properly sanded floor will result in uneven bevels. In the case of a micro bevel product, it is possible that the bevel will be eliminated. The sanding process may require extra cuts in order to eliminate these eased edges. When maintaining the beveled edges, carefully clean and/or scrape the bevels (be careful not to damage the face of the board). Caution when sanding, and a lot of hand work/detail work are also necessary when addressing bevels during a resand. When the flooring material allows (sufficient wear layer), bevels may be recreated in the floor by using hand scrapers, hand planes, block planes, chisels, spokeshaves, routers with a V-grooving bit, or other specialty grooving tools. In addition, make the customer aware that sanding a beveled-edge product will change the profile of the bevel and the look of the floor. Choose the right abrasive – The grit chosen for the initial sanding will be determined by several conditions including existing coatings, the degree of unevenness, species, and overall condition of the flooring. For factory-finished flooring, the initial sanding of the wood floor should be with the finest grit abrasive possible to remove the existing coatings. Different types of floor coatings respond differently to different types of minerals used with the abrasives. Aluminum oxide minerals are blocky, cubic-shaped minerals. These minerals typically fracture into larger pieces, maintaining sharp edges. They are commonly used with fine and extra-fine abrasives often designed for intercoat abrasion or with the first sanding on factory-finished floors. High-abrasion finishes, such as those used on factory-finished floors, can be very difficult to sand. High-abrasion finishes respond better by using a ceramic fired fine-grit (80-grit or finer) abrasive as the first grit used. This first cut is made to break down the surface finish, not to remove material or flatten the floor. Choosing the proper grit sequence for every situation is nearly impossible to define as there are a wide variety of circumstances that may dictate many different scenarios. 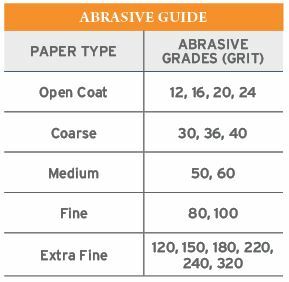 The abrasive grade (or grit) provides information about the size of the mineral used on the paper. 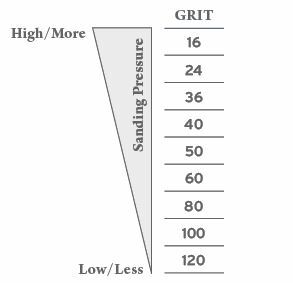 The grit number directly corresponds with the number and size of minerals per inch. The larger the number, the smaller the mineral. Choosing the appropriate grit sequence for the job will dictate the process to achieve the necessary results. Follow proper sanding technique – Before sanding, the floor should be vacuumed and evaluated carefully. Drum pressure settings should coincide with the abrasive choice. Finer grits require less-pressure settings on the big machine; coarser grits require heavier-pressure settings. For the first cut on a factory-finished floor, you first need to determine the type of finish you will be removing. Then make an abrasive selection. When resanding a dark-stained or white-stained floor and changing color, the floor can exhibit residual stain in the soft grain and cracks, which may require a more aggressive first cut to remove the previous color. Again, keep wear layer thickness and bevels in mind when more aggressive sanding is necessary. Subsequent cuts are then followed by a coarser grit to begin the upward grit progression to remove the remaining surface finishes and to begin flattening the floor as necessary. Skip no more than one grit from the abrasive used in the second cut. All following cuts remove the scratches created by the prior cuts, leaving shallower scratches that should result in a surface that appears smooth. The final sanding processes involve examination of visible edger and sander imperfections. These must be removed by hand before the final sanding stages. 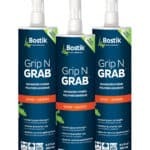 When using handheld random orbital sanders or other sanding machines to remove perimeter scratches, be sure to use the same grit as was used in the final sanding process. If the result is not satisfactory, the previous steps must be repeated. For floors maintaining beveled edges, application of multiple coats will require thorough abrasion by hand in order to ensure finish adhesion in the bevels. Understand the process for distressed or sculpted floors – When sanding a distressed or sculpted floor, use extreme caution. Distressed flooring may be classified as hand-scraped, wire brushed, textured, or similar. These types of floors cannot be resanded using traditional methods to maintain a textured appearance. Due to the variation in the surface wear layer thickness, these types of floors are extremely difficult, and often cannot be sanded. The wear layer may be less than the recommended 3/32” thickness in many areas of the floor, which would become the lowest point to which the remaining floor would need to be sanded to get it flat. Routine maintenance on these types of floors is extremely important to the longevity of the products. Unfortunately, when improperly maintained, it is extremely difficult to bring back the intended appearance of these floors. 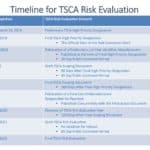 By following these steps and taking into account all of the precautions listed, many of the existing factory-finished floors that have been installed are capable of being restored. Whether the purpose for refinishing is due to damage, age, wear, or simply just a color change for the end-user, the process of refinishing wood flooring is one of the many benefits of why people buy wood flooring.